A first step to have special access to opera houses and festivals in Europe, through FEDORA’s service portfolio, and visibility in FEDORA’s communications. In addition to the previous category’s benefits, enable your company’s stakeholders to gain backstage access at opera houses and festivals in FEDORA’s network. 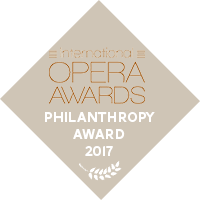 In addition to the previous categories’ benefits, exclusive access to the FEDORA Prizes competition to meet the world renown jury members and winning artistic teams. Our corporate founding members are featured throughout our communications, creating a strong brand association. As an international group of law firms, CARLARA manages transnational projects, meeting our clients’ local needs in Paris, Brussels, and more globally through our international alliance.